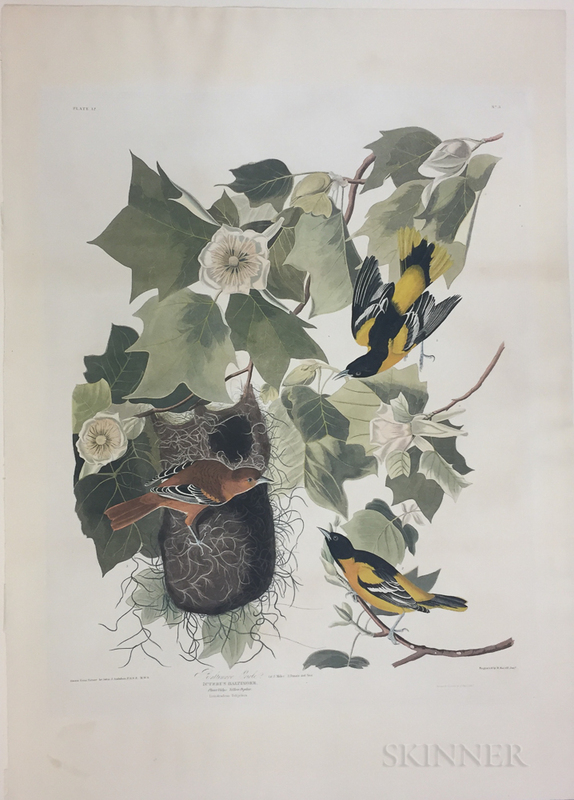 Audubon, John James (1785-1851) Baltimore Oriole , Plate 12. Audubon, John James (1785-1851) Baltimore Oriole , Plate 12. Audubon, John James (1785-1851) Baltimore Oriole , Plate 12. Audubon, John James (1785-1851) Baltimore Oriole, Plate 12. [from] Birds of America. London: R. Havell, 1826-1838. 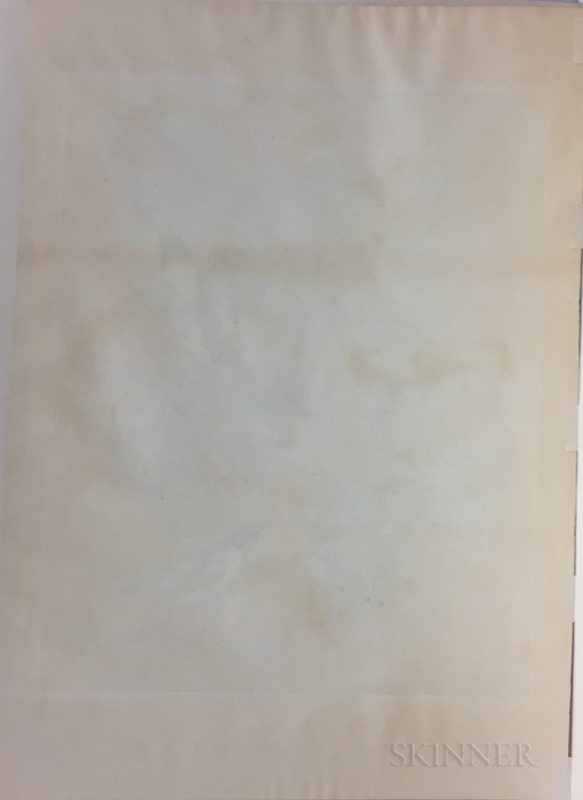 Double elephant folio sheet, printed on wove paper, engraved and hand-colored, showing a female on her nest in a yellow poplar tree in bloom with two males approaching, colors faded, matted, 34 1/4 x 24 1/4 in.